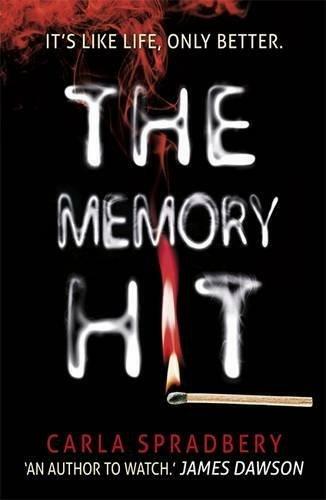 “The Memory Hit” is an old-fashioned thriller for the young adult crowd. Think “Scream” type thrills with a drug-dealing setting. If you’re looking for romance, “The Memory Hit” is not for you. There are some brief moments of it, mostly through memories, but that is all. One of my favorite things about the book is the fact that there is an abusive boyfriend who is not portrayed as some misunderstood hero and a girlfriend whose thoughts are shown both before and after she realizes he is abusive. Those portrayals are rare, and I like to point out any time a book treats abuse realistically and doesn’t in any way condone it. The characters are well-developed in the way that you expect from a standalone thriller. There are strengths and weaknesses in all of them, with realistic reactions to some really terrifying things going on around them. There are several moments that had me jumping out of my seat and an overall atmosphere of general creepiness. Add in the mystery of “whodunnit” and it makes for a fun and fast read. Readers will feel thankful that nostalgex is not a real drug by the end of the story. I recommend it to upper middle grade readers and up who enjoy a good scare and are looking for a quick read. 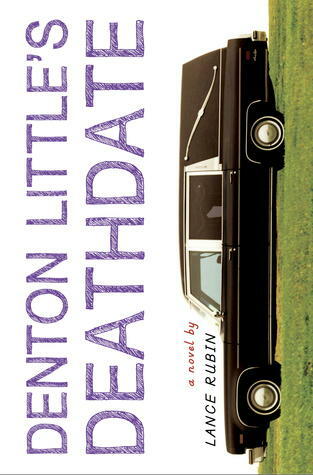 Seeing as I just finished reading “Denton Little’s Deathdate”, I can only hope that I stop laughing long enough to write a coherent review. The plot is one of the most unusual I have read in a young adult novel, especially one meant to be funny while dealing with a guaranteed date of death. It throws in a lot of curveballs as well, and it keeps you on your toes. There isn’t really an easy way to describe it, or fit it into one genre, and it’s very possible that it managed to create its own category. All of the characters are well-developed and act realistically. Well, as realistically as the circumstances allow. Denton is especially endearing, and the dialogue had me sounding like I was recording a sitcom laugh track. I’m pretty sure even the dogs think I’ve lost what little was left of my mind. I highly recommend it for around eight grade and up, but only if you’ve willing to risk spontaneous urinary incontinence. Nick and Norah's Infinite Playlist meets Easy A in this hilariously realistic story of sneaking out, making out, and playing in a band. After catching their bandmates in a compromising position, sixteen-year-old Los Angelenos Riley and Reid become painfully aware of the romance missing from their own lives. And so a pact is formed: they'll both try to make something happen with their respective crushes and document the experiences in a shared notebook. While Reid struggles with the moral dilemma of adopting a dog to win over someone's heart, Riley tries to make progress with Ted Callahan, who she's been obsessed with forever-His floppy hair! His undeniable intelligence! But suddenly cute guys are popping up everywhere. How did she never notice them before?! With their love lives going from 0 to 60 in the blink of an eye, Riley and Reid realize the results of their pact may be more than they bargained for. “Kissing Ted Callahan (and Other Guys)” is exactly what it intends to be and nothing more: a lighthearted romance. The plot is very cute, though predictable, and is told through the very amusing voice of Riley. The other characters are pretty much relegated to romance novel tropes, but in this case that isn’t a bad thing. The teenagers act in a realistic manner, speak in a realistic manner, and think in the same realistic manner. In other words, in case you didn’t catch on, even though it’s predictable it is realistic, and I always respect authors who aren’t afraid to show how it really is. I recommend “Kissing Ted Callahan (and Other Guys)” for anyone high-school age and above who is looking for a quick, easy read that also makes you laugh. secret of his identity is one he actually deserves to keep. Cate’s loyalty is challenged when she begins to discover the truth of the crime. She must ask herself if a child is capable of premeditated murder. Or is there a greater evil at play? As a lover of mystery, procedurals, and books that expose flaws in prison systems, I had quite a bit of hope for “Humber Boy B”. Unfortunately, what was a promising premise fell completely flat. The plot began decently enough, but became burdensome after a while. I did enjoy the way flashbacks were intermingled, but they were the most interesting parts. By the end, several subplots had been introduced that were rather large and important, only to be left unresolved. I know this is how life works, but the author could have made them a less important part of the story and focused more on the main storyline, which most definitely needed expansion. There will be a second book in the series, but as it is written there will be no opportunity to clear up most of the loose ends. I think this bothered me the most because between the flashbacks, two different types of narration (first person and third person omnipotent), and a long length, there was no reason not to essentially finish the story being told. Some of the characters are well-developed. Other characters are basically caricatures of mystery tropes that you get the feeling you are supposed to like but are the exact opposite of likable. On top of that, the two main characters have been developed through many perspectives and still make decisions that are completely out-of-character and unexplained. I came to downright despise the female protagonist, and considering the series will revolve around her, I can only hope the author redeems her in a major way, because there really was potential. 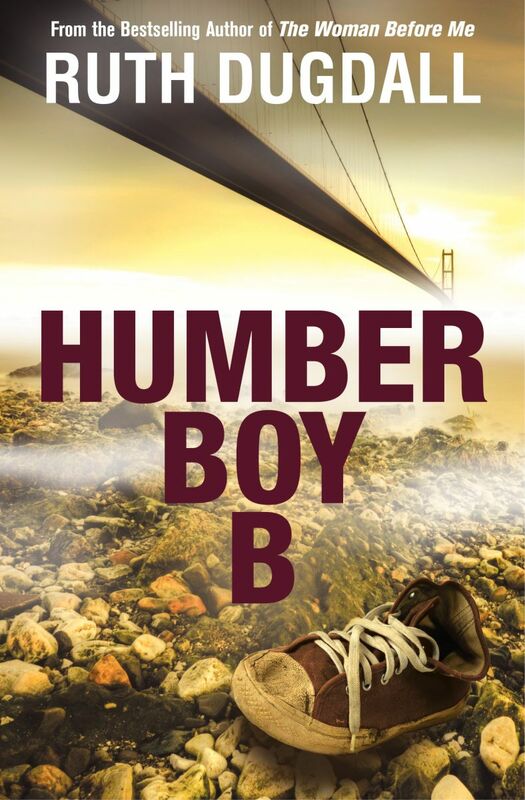 In short, I can’t recommend “Humber Boy B”. I wish the author the best and hope she finds her rhythm. This is an adult book, so there is no content warning. I have to say that “The Haunting of Sunshine Girl” is one of the most interesting horror novels I have ever read. It has an unexpected blend of ghosts, romance, teen angst, and plot. I really enjoyed the characters and their arcs. Sunshine especially is a great and likable character who reacts to the extraordinary paranormal situations in a way that most of us would. That being disbelief quickly followed by fright. I won’t give away what else she goes through, but needless to say it isn’t something most of us would encounter. At least I hope not. I do like to sleep on occasion. My first thoughts were this isn’t too scary, which quickly progressed to being afraid to go to the bathroom in the middle of the night (which is when I was foolish enough to read a horror story), and finally ended up with “my significant other needs to read this”. That last bit is the most telling, as she is what could be called a horror connoisseur. She likes terrifying things and “The Haunting of Sunshine” fits that requirement at many points. Oddly enough, the book can be classified as clean as long as someone is ok with paranormal violence. There is no bad language, only the vaguest of sexual references, and no drinking or drug usage. Therefore, I can easily recommend “The Haunting of Sunshine Girl” for any age provided they are comfortable with books by authors such as R.L. Stine. It’s a lot of good old-fashioned ghost story fun. This collection of short, action-filled stories of the Old West s most egregiously badly behaved female outlaws, gamblers, soiled doves, and other wicked women by award-winning Western history author Chris Enss offers a glimpse into Western Women s experience that's less sunbonnets and more six-shooters. Pulling together stories of ladies caught in the acts of mayhem, distraction, murder, and highway robbery, it will include famous names like Belle Starr and Big Nose Kate, as well as lesser known characters." “Wicked Women” is a fun read that also includes a wealth of little-known history. It’s obviously well-researched and written from a point of love of the wild west. The stories feature a wide variety of women whose stories will have you laughing and horrified, sometimes both at the same time. I definitely recommend “Wicked Women” for anyone with an interest in women’s history, the wild west, or even history in general. It’s an easy read that can appeal to anyone. As this is a book meant for an adult, there is no content warning. When I began reading “The Duff”, I thought I would find a somewhat typical teen romance. I was pleasantly surprised to find that was not the case at all. Bianca and her two best friends are inseparable, and on one of their nights out Bianca is told by the school’s resident that she is “The Duff” of her group of friends. Duff means “Designated ugly fat friend”, and along with some other major issues occurring in her life, the term completely ruins her self-esteem. The internal feelings are something most of us can relate to, both male and female. Bianca’s internal dialogue is witty and self-deprecating, revealing to the reader the things she cannot see for herself. What really hooked me is the ultimate conclusion to her cycle of self-hatred. While I cannot elaborate without spoiling the story, I can say that it is something that every single person needs to hear, young and old, male and female. The overall message is one of empowerment and awareness. I am not ashamed to admit that part of it made me cry from the memories of my own time in high school. I wholeheartedly recommend “The Duff” to all older high school readers. While the message is good for everyone, the content is explicit (and very realistic), making it a book best saved for when middle readers get a little older. In this new novel from the author of Water for Elephants, Sara Gruen again demonstrates her talent for creating spellbinding period pieces. At the Water's Edge is a gripping and poignant love story about a privileged young woman's personal awakening as she experiences the devastations of World War II in a Scottish Highlands village. Madeline Hyde, a young socialite from Philadelphia, reluctantly follows her husband and their best friend to the tiny village of Drumnadrochit in search of a mythical monster--at the same time that a very real monster, Hitler, wages war against the Allied Forces. What Maddie discovers--about the larger world and about herself--through the unlikely friendships she develops with the villagers, opens her eyes not only to the dark forces that exist around her but to the beauty and surprising possibilities. From the Hardcover edition. The beginning of “At the Water’s Edge” was only worth three stars, but the second half of the book redeemed it enough for me to round-up to four stars. It is well worth sticking it out through the sluggish beginning to see where the story leads. As I said, the beginning was a bit sluggish, but I believe most of the problem came from the extremely irritating nature of the main character, Maddie, along with her husband, Ellis, and her friend, Hank. I can understand why the author portrayed her the way she did, but I feel like it may have been a better choice to soften Maddie’s character just a little, as it is very well possible that many readers will give up before learning more about why she is the way she is. The plot is a unique one featuring the Scottish Highlands, WWII, high society, and the Loch Ness monster. Once all of these elements combine the pace picks up and “At the Water’s Edge” becomes nearly impossible to put down. I loved the way things unfolded, as well as the details of life during the war in that area of the world that were sprinkled throughout. As a historian, I appreciated that Sara Gruen made the facts fit with what the characters would know at the time, which were inaccurate in many ways, giving it a very realistic feel. I also highly appreciated the author’s note at the end clarifying the real facts and numbers that time revealed to be true. Overall, in spite of the problems at the beginning, I can still recommend “At the Water’s Edge” for anyone looking for an engaging read. The reward is worth the trouble of getting there. Content warnings are not included for books intended for adult audiences. Every time Caleb hears a saying, it happens to him. Pockets with watches appear on his shirt when his mum mentions “pockets of time”. He soon finds himself in Brumantia, where you can be thrown in prison for a crime like “being in someone else's shoes” or end up in hospital with your “fingers crossed” or “sides split”. And just think what “you're all over the place” can do to you! Caleb and his fellow stranded-Londoner friends search for their way home, but it’s not just the idioms that throw challenges at them. Who or what is behind the big secret that is bringing people to Brumantia. And why? “In a Pocket of Time” is a wonderful fantasy adventure for children and middle readers that is based around commonly heard idioms. It has a fast pace that is guaranteed to keep kids engaged, as well as likable characters that are surprisingly well-developed for such a short book. The world is fun and full of mystery, adding to the fun. I recommend this book for all children, as it is exceptionally good at explaining the meanings of idioms in a simple to understand way. 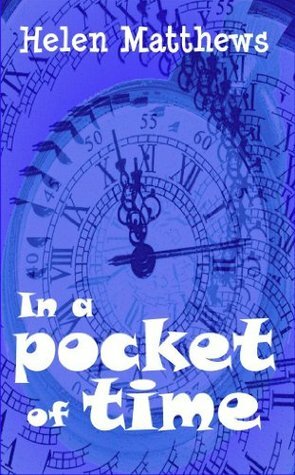 “In a Pocket of Time” would be especially helpful for those of all ages with Asperger’s or autism, as it can be difficult to process the meaning of certain sayings, and the book offers a frustration-free path to easier processing of idioms. All-around a fun book and great educational tool perfect for classrooms and school libraries. This review is based upon a copy obtained through the Goodreads First Reads program in exchange for an honest review. All that Pearl knows can be encapsulated in one word: Seed. It is the isolated community that she was born into. It is the land that she sows and reaps. It is the center of her family and everything that means home. And it is all kept under the watchful eye of Papa S. At fifteen years old, Pearl is finally old enough to be chosen as Papa S.’s companion. She feels excitement . . . and surprising trepidation that she cannot explain. The arrival of a new family into the Seed community—particularly the teenage son, Ellis—only complicates the life and lifestyle that Pearl has depended upon as safe and constant. Ellis is compelling, charming, and worldly, and he seems to have a lot of answers to questions Pearl has never thought to ask. But as Pearl digs to the roots of the truth, only she can decide what she will allow to come to the surface. Lisa Heathfield’s suspenseful, scintillating debut features a compelling voice that combines blithe naïveté, keen observation, and sincere emotion. Those are the words to most accurately described my feelings toward “Seed”, a book about a teenaged girl living on a cult compound with a fear of the outside world. The cult is well-developed and the creepiness of it (and believe me, it tips the creepy scale) is revealed in a way consistent with the view of Pearle, the narrator. Everything is presented naturally, without much explanation, but her observations adequately clue in the reader to what she cannot see. The plot moves at a slow, though steady, pace. This is good, because things at Seed do not change quickly. In fact, they rarely change at all. The characters are well-developed and for the most part sympathetic. It’s very easy to feel sympathy for the innocents and hope they finally realize they are not in a good place. That is the first 99% of the book. The last 1% of the book is a whirlwind that needed quite a bit more exploration. There were subplots introduced that had nothing to do with the conclusion and had no resolution. That space would have been much better used to make the actual conclusion more cohesive. I understand that there is a point where things would speed up rapidly, and the author is trying to convey this, but it was such a disorienting jumble that it cost an entire star in my rating. If you like reading about cults, or things that make your skin crawl in general, then you may wish to give “Seed” a try as long as you go into it with the knowledge the very end may fall short of your expectations. It is most definitely for high schoolers and adults. The content is not explicit but very much present.